By CONRAD ONYANGO An activation of Wi-Fi setting on your mobile device presents you with a long list of internet connection both secured and unsecured while in Nairobi or any developed city or town in Kenya. Similarly, a stroll in Nairobi’s city avenues and lanes presents an unlimited access to internet facilities, mainly through cyber café’s, a full indication of huge internet penetration in the country. However, 200kilometers away from the city in to Laikipia county, it’s a different picture all together. It even gets worse as you move another 40 kilometers deeper into a village called, Burguret. The area is totally disconnected from the world wide web, mobile network reception is also poor as operators drags their feet to venture in such markets due to anticipated low returns on accounts of a bigger percentage of a population living below a dollar a day. The community in the area is part of 600 million an equivalent of 70 percent unconnected from power grid and suffers a digital divide in Africa. 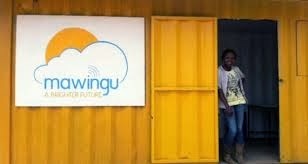 Mawingu, is Microsoft’s latest trial on an initiative that utilizes unused Tv channels spectrum known as White space with an aim of bringing a high speed interned to the underserved rural community. Kenya is the company’s third trial country, as the firm and its partners including Indigo Telecom scouts for a pricing strategy that will be affordable to the community as part of efforts to introducing a commercially viable project to enhance economic development in rural areas. Three months into the pilot project, things have started changing for the community that is now enjoying free internet daily with a deployment serving an area of 85 square kilometers with a 60 megabyte per second internet speed for free. It translates to between 150 to 200 people per square meter covered under the unregulated broadband connection. “A number of people, students, locals and many on a long work leave troop to this Mawingu agent.Most villagers are even better positioned to learn about internet and connective devices. I can attest to you most are unaware about functioning of computers,” says Njogu. A minimum of 15 Users of the facility also enjoys free power to charge their mobile phones while browsing daily. “I use the facility to do my assignment I carried from my base station, now that am on a long leave. Actually I can analyze documents and send them to Kakamega,” said Corporal at Criminal Investigation Department (CID) Kakamega. Main economic activity in the area is dairy farming due to poor rainfall patterns and to some extent sustained attack on crops by elephants breaking away from National parks. “The technology has attracted most farmers, who come here in the evening to research on best practices like types of fertilizers, irrigation and access to new markets what will boost the areas economy,” said Burguret Community Development networks, Organising secretary, Samuel Mureithi. The number of users at the single Mawingu agent rises to slightly above 50 over the weekend forcing some too come along with their laptops and Wi-Fi connected devices. “Due to the growing demand for the facility, we are planning for three more such agents before end of the year,” said Microsoft 4Afrika, Marketing Director Tonia Kariuki. A revolutionary transformation stretches to local schools,markets and even humanitarian organizations offices like Kenya Redcross. Gakawa Secondary School principal, Beatrice Dorongo, reckons the technology has pushed the schools profile to an extra mile in terms of access to learning materials improving research and preparation for lessons to her 280 pupils. “We are particularly short of literature textbooks but we are slowly overcoming this. We no longer have to send pupils home to buy the texts,” said Dorongo. Microsoft targets to install 35,000 Mawingu agents across the country after successful pilot project set to end August next year. “After this we will have a full profit model that will see vendors of the deployment charge a minimum rate in usage of white spaces.our plan is to achieve an efficient and affordable access to internet,” said Chief Fundi, Mawingu Networks, Malcom Brew. Effectively the time will mark the expiry period of a trial license it was issued by communications commission of Kenya to run the activities in Nanyuki and Lakama in Kajiado County.